Belgian defender Toby Alderweireld revealed that he has yet to be offered a new contract in North London but is keen to remain with Spurs for the foreseeable future. The towering centre-back is flourishing under coach Mauricio Pochettino with the 28-year-old admitting he is feeling fully focused and thoroughly enjoying his football. Alderweireld made his debut on the 30th July 2015 starting in the pre-season game against the MLS All-Stars and it didn't take him long to get off the mark for this new club netting his first Spurs goal on the 26th September against Manchester City. The former Ajax defender swiftly became a firm fan-favourite at White Hart Lane (and Wembley) due to his committed displays and no-nonsense approach at the back. The Antwerp-born player who can also operate at right-back has led by example and helped his side keep 13 clean sheets during his debut season in the Premier League. Spurs went on to rack up 17 shutouts last year and have begun this campaign with another four. Mauricio Pochettino's side were one of the quieter clubs in this summer's transfer window and failed to sign a single player before the Premier League season began on August 12th. They did add Ajax defender Davinson Sanchez for £45 million soon afterward, and his recent performances have impressed the Spurs faithful, with the Colombian faultless during their 4-0 hammering of Huddersfield on September 30th. He's seamlessly adapted to life in the top flight and, flanked by Alderweireld and Jan Vertonghen, he's become an integral part of one of the league's meanest defences. His reading of the game coupled with Alderweireld's vast experience has been key to preventing them conceding against Newcastle, Swansea, Everton, and the Terriers. The Belgian defender is keen to continue his tenure at the club and recently told Sky Sports News he is determined to "...remain focused on football, to keep my game up, and help the team". He also added, "You can see I'm happy there...and that's the way I always play football". 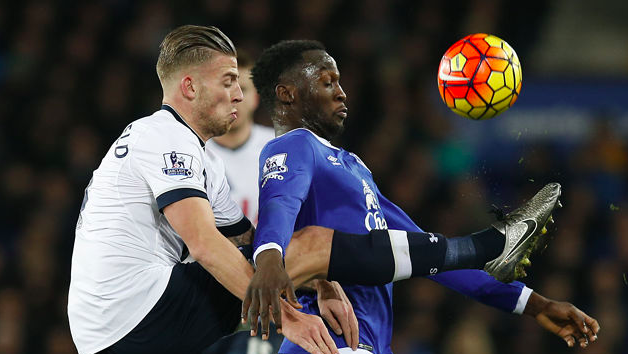 Alderweireld is yet to trouble the score-sheet this season but it is still early days. He found the net just once last season being unable to match his impressive total of four during the 2015-16 campaign. His threat from set-pieces should not be underestimated by the opposition and he has been pivotal in creating space for team-mates to pounce on loose balls in the box. He's enjoyed teaming up with former Ajax team-mate Christian Eriksen this year and has been responsible for 60 accurate long balls to team-mates so far which is significantly more than any other player in the Premier League. He's an asset at both ends of the pitch. The Belgian international appears to be a modest individual and has reserved praise for many of his team-mates. Asked about his partnership with Jan Vertonghen, he stressed "It's difficult for me to play without him. If I move to another club, he'll have to follow me". The two defenders enjoy a fruitful partnership at centre-back for the club, although they've regularly been forced apart at international level. With such a wealth of options available, Roberto Martinez and his predecessor Marc Wilmots have both struggled to accommodate the two Spurs men in the same line-up. Alderweireld and Vertonghen will both be expected to play some part during their sides final World Cup Qualifiers and feature significantly next summer in Russia. The latter looks set to become Belgium's all-time appearance holder overtaking Jan Cuelemans who represented his country 96 times. His team-mate and close friend predicts plenty more outings for Vertonghen suggesting "He still has many good years ahead of him for the Devils". The pair have thrived under the tutelage of Mauricio Pochettino and their rock-solid partnership has been a major part of Spurs' recent success. The Argentinean coach was nominated for the Premier League Manager of the Month award in September, alongside Jose Mourinho, Pep Guardiola and Arsene Wenger. It's not just a rock-solid defence which has triggered Spur's recent upturn in form. Striker Harry Kane continues to pull up plenty of trees in both the Premier League and on the international stage. The forward captained Gareth Southgate's England side at Wembley on October 5th and despite enduring a largely frustrating 90 minutes, he hit the winner in stoppage time which condemned Slovenia to a 1-0 defeat and secured World Cup qualification for the Three Lions. The attacker has netted six times in seven appearances so far this campaign and has his eyes on the Premier League Golden Boot once again. Last season, Kane notched 29 times but was left frustrated after failing to break the 30-goal barrier. Kane has netted a brace in recent games with Everton, Huddersfield and West Ham United and is playing with plenty of confidence. His team-mate Alderweireld has certainly been impressed with the London-born 24 year old. The Belgian proffered "I'm biased, but I believe Harry Kane is the best striker in the Premier League. He lives for his job and trains as hard as he can". He later went on to add, "He wants to become the best in the world. He's strong, both-footed, smart, good in the air and works hard for the team" before concluding "he has it all". The forward would relish the chance to make a hat-trick of Premier League Golden Boot awards but Manchester United striker Romelu Lukaku is tracking him all the way with the former Everton powerhouse flourishing under Jose Mourinho and has scored seven times in as many games. He finished second last season with 25 goals for the Toffees. The club's terrific start to the season has been accomplished without Erik Lamela, Danny Rose, and Victor Wanyama, all of whom have suffered injuries during the early stages of the campaign. The trio are believed to be working their way back to fitness and their respective recovery programmes are being stepped up during the October international break. Moussa Dembele is also expected to return to the first team shortly after spending a fortnight on the sidelines. Spurs fans could be forgiven for worrying about the future of Alderweireld, although he appears fully committed to the cause. The big Belgian has reassured supporters that he has spoken with Pochettino who is acutely aware of the contract situation. Alderweireld's agent and advisor Stijn Francis reportedly told the club that it is imperative they offer the defender a new deal and make an improved offer or risk him handing him a transfer request. However, the 28-year-old doesn't seem in any rush to depart. He certainly isn't short of admirers and many of Europe's top clubs are likely to be interested in his services should a new deal fail to materialise in North London. The centre-back was keen to avoid going into depth about his new contract when asked by reporters insisting that his focus was simply on helping the team to challenge at the top of the Premier League. He concluded by saying "...I am focused on football. The rest, I don't know about, we will see about that". Discussions are believed to have taken place between all of the parties but no conclusion has been reached yet. Alderweireld's contract isn't set to expire until 2019 but at the age of 28, fans would like to see their star defender tied down for significantly longer. New recruit Davinson Sanchez is the youngest member of the back line at 24 and it's a partnership which could be set to flourish for a number of seasons in the Premier League. Since he joined the club, Spurs have kept clean sheets in 39.6% of their games with Alderweireld a virtual ever-present at the back during his three years in North London. He played 38 times during his debut campaign before adding another 30 during the club's successful 2016-17 season and is yet to miss a match this time around. During his tenure, he's clocked up a 77% successful tackle rate as well as making 619 clearances. His statistics make impressive reading and he has consistently proven to be one of the most reliable and dependable figures in the English game. Pochettino's men have made decent progress in the UEFA Champions League this season putting last year's underwhelming campaign firmly behind them. Disappointing defeats to Monaco and Bayer Leverkusen resulted in the Lilywhites crashing out of the tournament at the group stage in 2016 but they've made a much brighter start to life in Europe's elite club competition this time around. They've clocked up successive victories in Group H taking a maximum six points and proudly sitting top of the somewhat embryonic standings. A Harry Kane hat-trick helped them to an expected 3-0 success in Cyprus as they eased past APOEL Nicosia. Prior to that, they put to bed any talk of the Wembley curse as they outplayed Bundesliga giants Borussia Dortmund running out 3-1 winners at the National Stadium. Kane was again a pivotal figure firing a brace for his side adding to a Son Heung Min opener. If Spurs are to progress to the latter stages of the competition this season questions will be asked of Pochettino's ability to manage his squad. Whilst their defence looks perfectly well stocked, only the aforementioned Son Heung Min and Fernando Llorente provide proper competition for the prolific Harry Kane. The Lilywhites are priced at around 25/1 for glory in the Champions League this season but fans aren't getting carried away as despite the bright start they still have to make trips to the Bernabeu and Signal Iduna Park later this year. Despite crashing out of the tournament early, Spurs' premature exit allowed Pochettino's men to concentrate on their quest for Premier League glory. Despite a late rally, they weren't able to catch Antonio Conte's Chelsea at the summit. A damaging Friday night defeat at the London Stadium knocked their title hopes off course and they eventually had to settle for second place. Despite this disappointment, it was the first time in over 20 years that Spurs fans could brag about finishing above North London rivals Arsenal and they'll be hoping to repeat the trick once again. Sky Bet have them priced at 8/15 to finish in the top four this year whilst they are 14/1 to end the campaign top of the pile. Harry Kane is 7/4 to be the league's top goalscorer and his firepower combined with Alderweireld's steel will be crucial to their chances of going one better this time around. Those who are confident of Spurs' and Kane's chances of glory can use a free £20 bet as detailed by Oddschecker to back the Lilywhites for success in the top flight. They have some crucial Premier League games to come before Christmas with the first London derby scheduled for the 18th of November. Arsenal haven't beaten their rivals since September 2015 and will be hoping to get one over on their foes. Two quick-fire strikes from Harry Kane and Dele Ali gave Spurs a 2-0 success at White Hart Lane back in April whilst the pair drew 1-1 in November 2016 at the Emirates. Alderweireld is determined to focus on his football and he is certain to continue his excellent record at the back for Spurs. His understanding with countryman Jan Vertonghen is vitally important to the club's defensive solidity and the pair continue to lead by example. Supporters will be hoping he signs the new contract in the next couple of months and that his future lies in North London. Neither Alderweireld nor Pochettino seems overly concerned at the club's slow progress and that is surely the most important factor. Negotiations continue but with the defender away on International duty, it may be a while before anything is signed and announced. He's enjoying life at the club and clearly relishes working with his team-mates on a daily basis, it seems unlikely that Alerweireld will depart the capital club anytime soon.